We have been providing quality music education to preschool/early school age children for over twenty years. We’re truly passionate about early music education and have developed our original music, activities and teaching methods throughout years of classroom experience. We would like to offer you a free demonstration class so that you can see what our music classes for preschools program is all about. 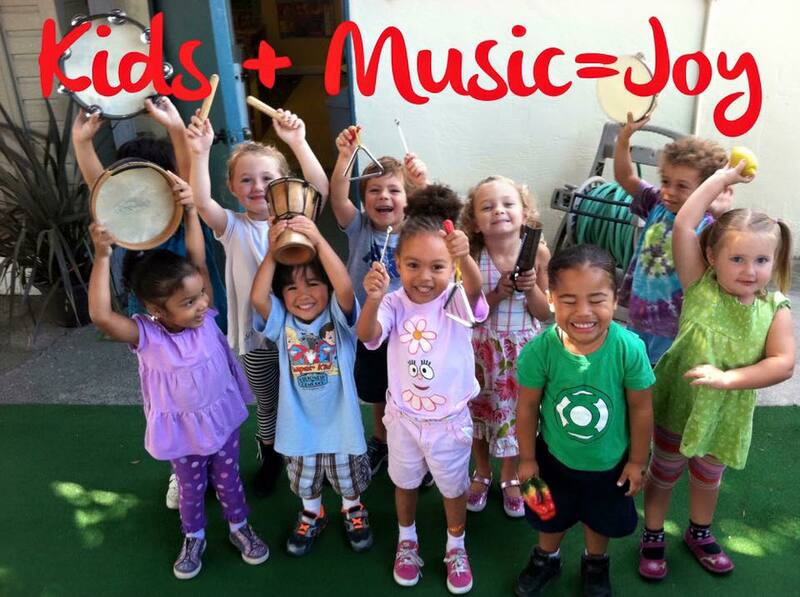 YMC music classes for preschools are thirty minutes of nonstop musical fun and learning! Each week, students have a blast discovering their voices, flexing their imaginations, and moving their bodies to our original children’s music played live on guitar. They use basic hand percussion instruments to explore rhythms, tell musical stories, and even begin to recognize musical notes through educational games! Children are kept thoroughly engaged as they jump like frogs, fly like birds and creeping like spiders! They go riding on trains, sailing on the high seas, and soaring through the air with Super Kid, our child super hero character! In addition to our songs by Nick the Music Man, we also incorporate songs and activities from various world cultures including Africa, Early America and Mexico. The goals of our music classes for preschools are simple but essential: to help children develop social skills, spark their innate interest and love for music, and create a healthy attitude towards movement and exercise. Studies have also shown that, early musical education helps children develop language skills and will provide numerous opportunities for gross and fine motor development. A teacher will come to your facility and do a free half hour music group with one of your classes. The demo is intended to give the director, or owner, a glimpse of the program, so it is important that they be present to observe. After the demo, if you find you are interested in having our program, the teacher will discuss how to get the process started! Our wonderful team of teachers have been carefully selected and thoroughly trained by our founder, Nick Young. #1 Individual Sign Ups- We market directly to the parents who pay monthly tuition to our company. Tuition is $11 per class, per child ($44.00 a month) with a one time materials fee of $20.00, which includes our kids music CD: Babajiggles. There is absolutely no work or cost to the school as we take care of building the class, taking roll and collecting tuition. #2 Flat Rate- If you would like us to teach the entire school so that no child is left out, we can do each class (of 25 or fewer) for a flat rate of $65 per half hour class. The cost is usually paid by the school or, in some instances, the school charges each parent a small fee which they usually add onto the tuition. In order for us to apply this option, we ask the school to commit to a minimum of 4 classes a month. If you interested in scheduling a demo or have any further questions about the program, please contact me in the office. We hope to be sharing the joy of music with your young students very soon.